This Air Jordan 6 Retro is the last original colorway left to be retroed. 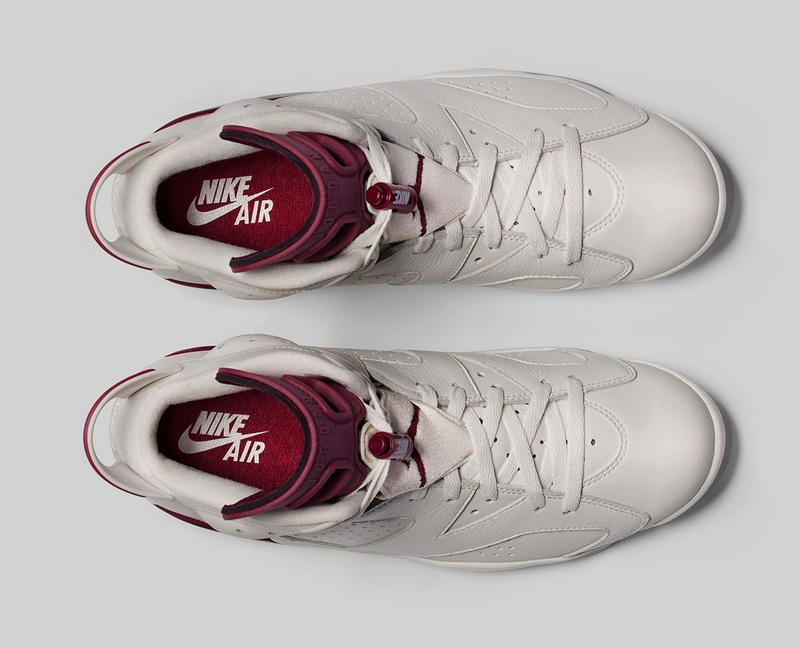 Making their return for the first time since 1991, remastered complete with original "Nike Air" branding. They feature an off white-based leather upper with maroon accents. 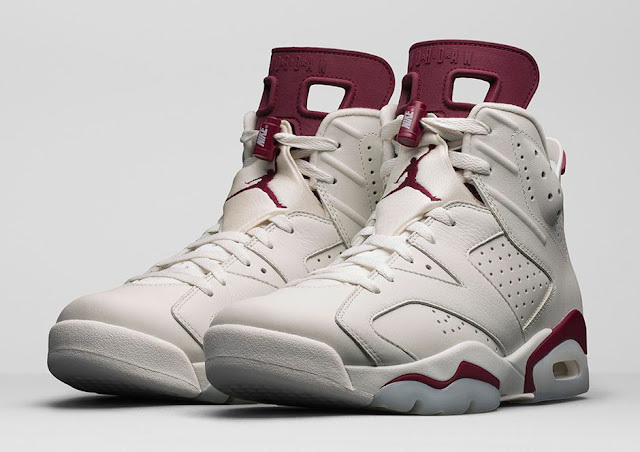 A limited release, look out for them at select Jordan Brand accounts worldwide on Saturday, December 5th, 2015. Retail is set at $220 for men, and they will also be available in full-family sizing, running down to toddler. 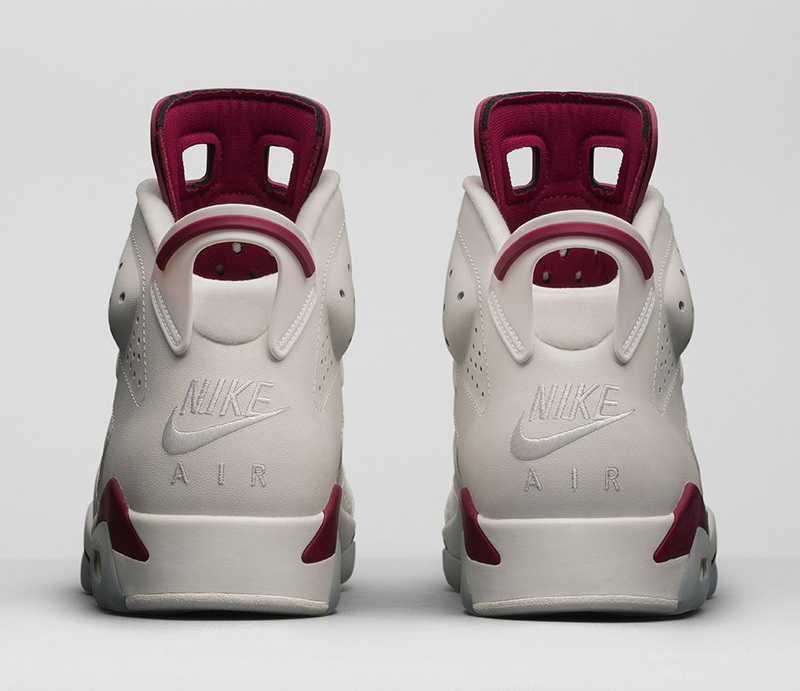 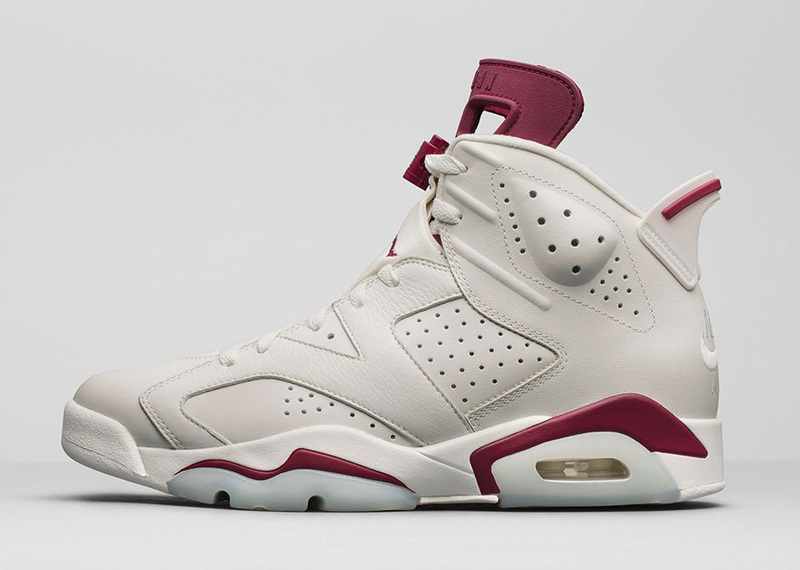 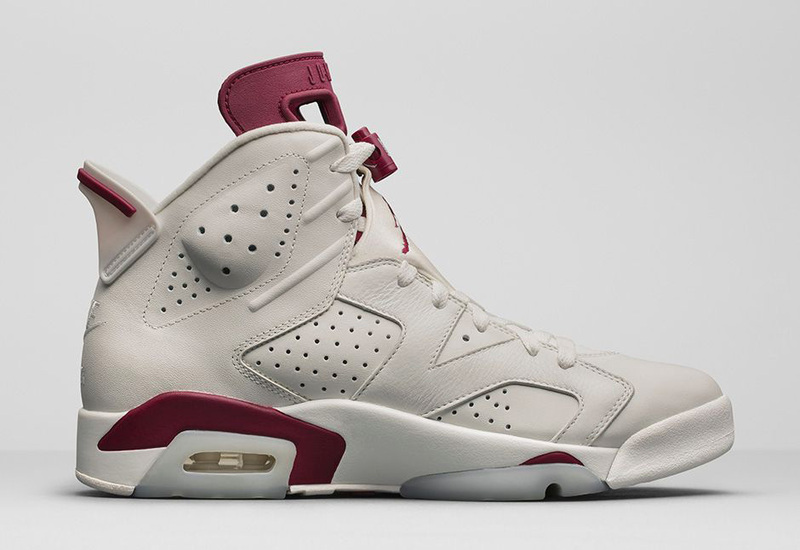 Enjoy the official images below of the "Nike Air" Air Jordan 6 Retro in off white and new maroon. If you're interested in picking these up when they release, check in with your local spots to see if they will be receiving them. Those of you looking for a pair now can, grab them from eBay here.